As you might have expected, Apple has already made announcements regarding its latest developments in the mobile industry: the iPhone 7. However, today the latest and greatest iPhones are the iPhone 6 and the iPhone 6 Plus. A lot of people have noted that the iPhone 6 doesn’t have incredible features that significantly differentiate it from previous models, but it does have a few handy features that weren’t included on earlier models. But despite the newest features of the latest and greatest iPhone 6, there are still a myriad of security concerns that impact your ability to browse the web safely and securely. Even though Apple operating systems are significantly more secure than Windows alternatives, you need to understand that code is inherently fallible and that you need to be proactive about your personal online security. Not only should you use one of the following best VPNs for iPhone 6, but you should also turn off several settings as mentioned at the end of this article to enhance your security. ExpressVPN is easily one of the most popular VPN services because they execute well in many aspects of their service. For example, they have servers in more countries than many of their providers. For now they have servers in 78 countries, but they seem to always be expanding. While they do a great job of supporting the iPhone 6, they really support all of the major operating systems with extensive guides and fantastic 24/7 support. Though they do cost a little more than some of the other services, they are well worth the price due to their fantastic all-around performance. For a quick and low cost service, Private Internet Access provides a value service that often meets above average speeds. With that said, the coverage is a bit smaller with a list of just under 25 countries, but with plenty of servers to upkeep fast transfer speeds. 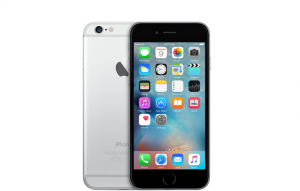 They offer mobile apps and support for quick and easy setup of your iPhone 6. For a small price, the service even allows up to 5 simultaneous connections. Overall, the service is not as polished, and lacks in-depth picture tutorials that some competitors offer, but if you’re on a budget, this may be your best choice. PureVPN is a great VPN provider for people who like providers based outside of the US. Because they are based out of Hong Kong, they aren’t subject to the same governmental restrictions and involvement that US-based companies are. They have increased the amount of simultaneous connections you can have to 5, and they offer a strong and reliable service to help protect your data on your iPhone 6. VPN Area is a VPN service that is smaller than some of the bigger names in the industry, but they have grown into a great service that works great with the iPhone 6. Some of the guides on their website leave a little to be desired, but on the whole they provide a very fast and reliable service. And because they have a 7-day free trial, you don’t have to worry about trying their service if you have never used them before. Like Pure VPN, Vypr VPN has the benefit of being based outside of the US. This VPN service that is based out of Switzerland has a phenomenal service with fast speeds, and they have a vast array of servers to choose from. Their largest drawback is that they do, in fact, keep some logs – but some people aren’t as worried about this fact because they aren’t subject to the US or the UK governments. Plus, you can use their free trial to test out their VPN connections on your iPhone 6. By default, the password that you use on your iPhone 6 is only 4 digits in length. While you might think this will suffice for decent security, you should know that people can easily tilt your iPhone 6 in the light to see the oil left behind by your fingerprints to see the numeric keys that you most frequently touch. Then it is only a matter of guessing the right combination of digits to break into your phone. You really should change this setting to a 6 digit code. Browse through to Settings, Touch ID & Passcode. Then select Passcode options, and increase the length of your passcode as well as add alphanumeric characters to drastically enhance your security. Believe it or not, by default your phone is keeping tracking records of you through the GPS system whenever you connect to a Wi-Fi network. However, you can disable this feature by browsing through to Settings, Privacy, Location Services, System Services, and finally Frequent Locations. Go ahead and turn this option off. You may also want to hit the Clear History button as well. There are a lot of apps that will upload your data to other sources such as your email, calendar, contacts, and even your photos. While this information is in transit through the Internet, it is a sitting duck for people who might want to intercept and steal your personal information. Usually when you install an app it will tell you what services it needs before the installation process begins, but you can manually edit the access that each app has to your data. Just browse to Settings, Privacy, and manually choose each app and the data is has access to. If your phone becomes stolen, Apple has included a feature that will show a map of where it is physically located. To enable this feature you need to select Settings, iCloud, and Find My iPhone. Make sure that this setting is enabled. You can also enable the feature called Send Last Location that will send an update to Apple regarding the device’s last location before the power runs out. If your phone gets stolen or someone else is using it, they could easily wreck your bank account by purchasing a lot of apps – especially if you have children. After you purchase an app you should see a prompt that asks you if you want to “Always Require” authentication. Make sure that this feature is enabled. It’s nobody’s business where you are, so stop apps from tracking your location. In fact, many apps still track your location even if you aren’t actually using that specific application through background processes. To bolster you online security and privacy, it is best to disable this setting. You will need to do this manually for each and every app that uses your location. By using iMessage you have the ability to send voice and video messages. But after the message has been delivered and consumer, you may want to delete the information so that people can’t access the data if they hack into your phone as well as freeing up some storage. You can browse to Settings, Messages, Keep Messages, and then select the length of time that you want these types of messages to be stored. You can set shorter spans of time that the messages are stored so they don’t live on your phone indefinitely. You can use your phone as a wireless hotspot, but the passwords people use are terribly insecure. Instead of making it “12345678” or the name of your dog (both of these are susceptible to simple password cracking tools), you should make it a strong and complex password. Be sure to use letters, special characters, and numbers too. By default your phone will show previews of messages on the lock screen, but this is terribly insecure. What if a sensitive message showed up that allowed other people to read your message without knowing the password to your phone? You can (and should) disable this feature by browsing to Settings, Notifications, and then Messages and Mail. Make sure that you disable the Show Previews option so other people can’t read your messages. On the lock screen, you can select which apps appear to stop other people from accessing your data. You will need to browse to Settings, Touch ID & Passcode, and then choose what information is available. In reality, you should really disable anything from showing up on the lock screen for maximum security. But it really is at your discretion. As shocking as it might sound, there are advertisements that track your physical location for location-based marketing. Not only does this location tracking negatively impact your battery life, but it is incredibly unsecure. To change these setting, you will need to browse to Settings, Privacy, Location Services, System Services and then you can manually disable ad tracking. Make sure that you keep the “Find My iPhone” option enabled, though. In addition, you will want to limit ad tracking through Safari. This option is buried deep within the settings menu, and you will need to browse to Settings, Privacy, Advertising, and the select the option of Limit Ad Tracking. Also, be sure to enable the Reset Advertising Identifier option. You should also limit the amount of time that your phone is inactive before it will lock your device. The lowest setting is 30 seconds, and it is the most secure option. This will decrease the chance that anyone will be able to access your phone when you aren’t looking. Simply go to Settings, General, and Auto-Lock. Though you can choose whatever length of time you want, you really should set it to 30 seconds.